SGA offers a lot of special services for companies represented in the provision of the best cadres to achieve the best returns and the leadership of the wheel of progress and development of the company. 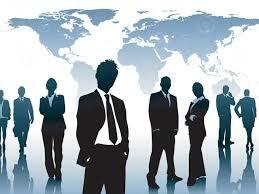 We save companies time and effort in searching and finding best cadres and hiring them. Business owners can make an account to follow up their works and activities. Once you join us, we can give you that: • Complete your company profile. • Post your job to be seen by thousands of job seekers. • Use our accurate & fast search to find candidates. • Add candidates to short list. • View list of candidates applied to your job post. • Add candidates to your favorites list to view them later. • You can publish your ads on our site. • Better customer services and support. Recruitment as a supplier: Recruitment, where we in SGA, offer a pool of qualified candidates as per the client request. The client is either willing to test/interview the candidates face to face or over the phone, it is determined as per the client. Visa processing: Our client choose carefully the candidate throughout different resources i.e. Recommendations, headhunting via any of the recruitment resources, where Our responsibility in SGA is to process as following: 1- Proceed an electronic agency extracted from the Ministry of Exteriors. 2- The client shall send us in SGA of both of a photo of agency and the work contract. "..... For more information........", click to continue reading 3- The client shall send us the contact means of the chosen candidate. 4- The technical part of SGA comes here; the candidate obtains an electronic code, which is commonly known as "Net" via SGA with fees of 200 L.E as the official payment of the code. • An official certification to the candidate's educational certifications will be processed. • The Visa will be stamped by the Consulate; the contract will officially be certified from both Ministry of Labor and Ministry of the Egyptian Exterior. Head hunting: We are proud to exist in the market two years ago however; our earlier achievements in the field and our esteemed list of customers have translated our success.